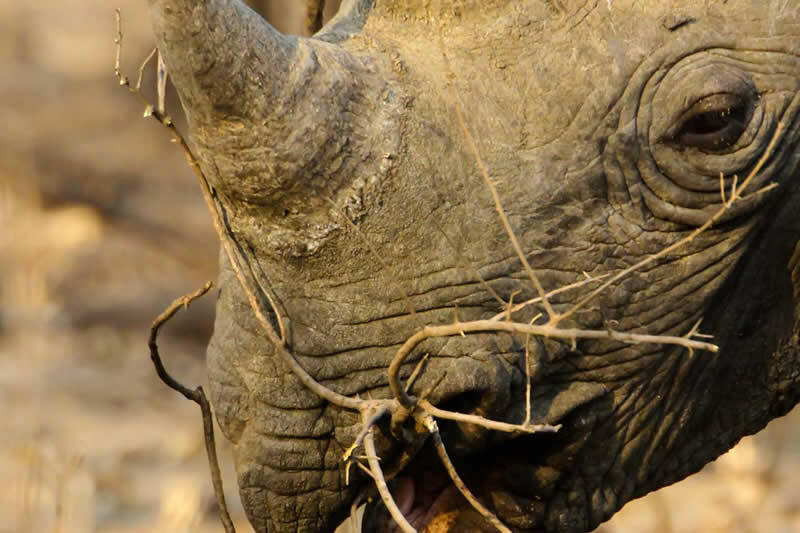 Follow the wildlife trails with one of our guides, for an informative walk through the African bush. Visit either the Bushman cave paintings, ancient grain bins or Iron Age iron smelter. Track the wild animals to try and approach on foot. 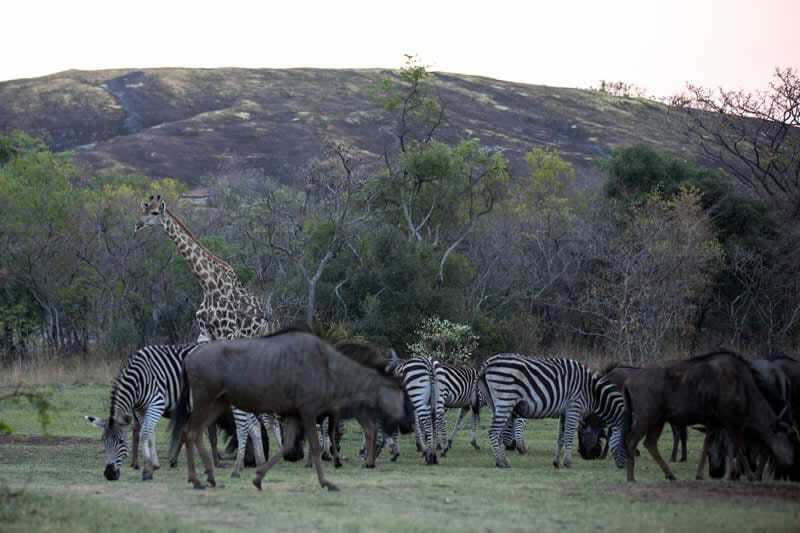 Conducted in open Safari vehicles, take a leisurely drive in search of the game living on the Wildlife reserve. As dawn breaks, capture some wildlife photos with a sunrise back drop and return for a hearty breakfast. 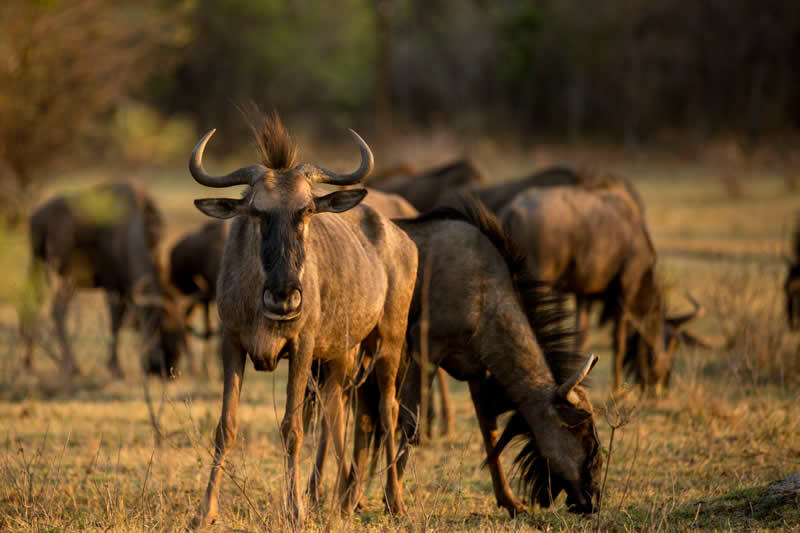 The sunset drive leaves late in the afternoon to view the animals coming to the waterholes for the last drink of the day. Finish with your sundowner drinks, snacks and a short night drive home. 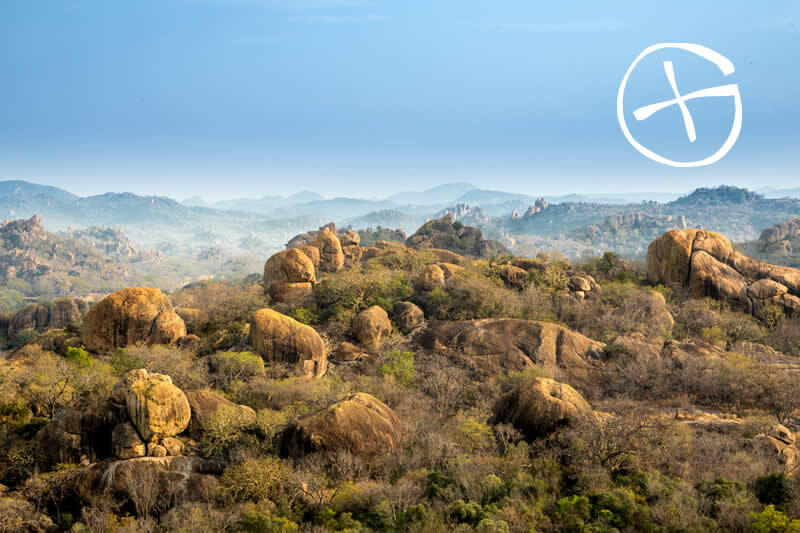 This popular trip takes you into the Matopos National Park. The Farmhouse can organize with local experienced tour companies. 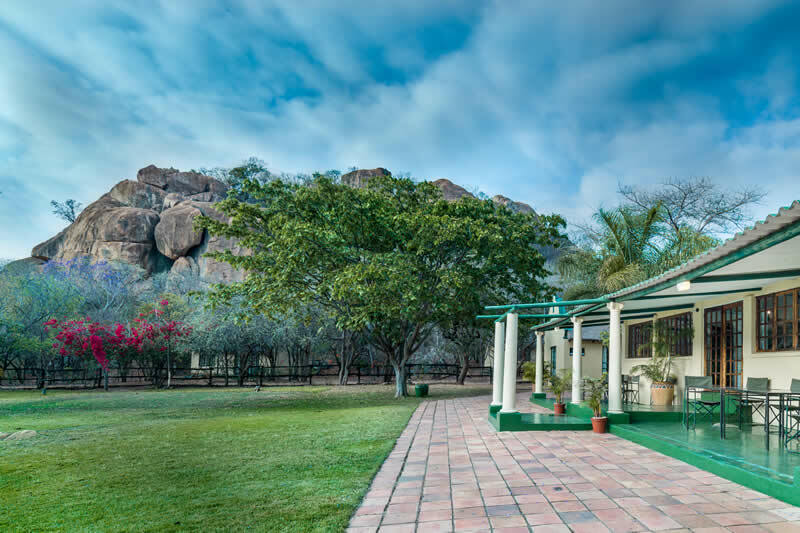 Your own activity, where you can climb the rocky outcrop behind the Farmhouse Lodge. When reaching the top, you are greeted by spectacular views of the National Park. 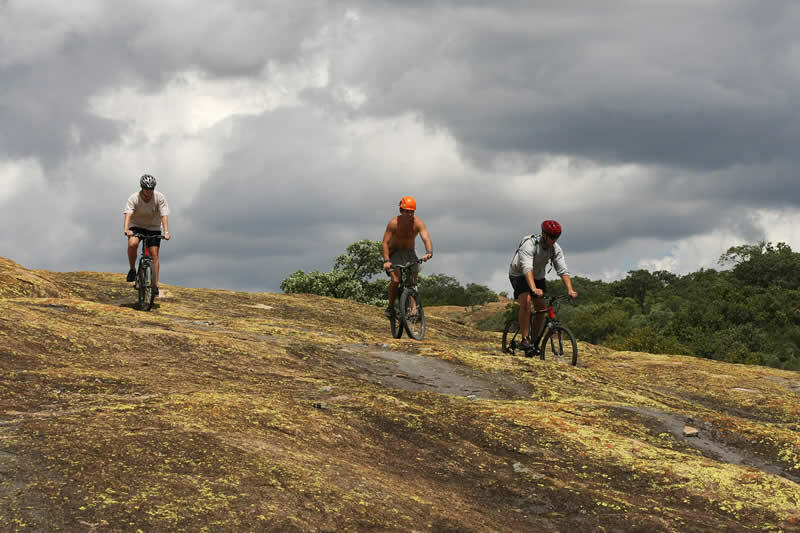 Ride the challenging dirt trails and rocky paths to get your exercise for the day. Visit the interesting cave paintings found on the Farmhouse property. 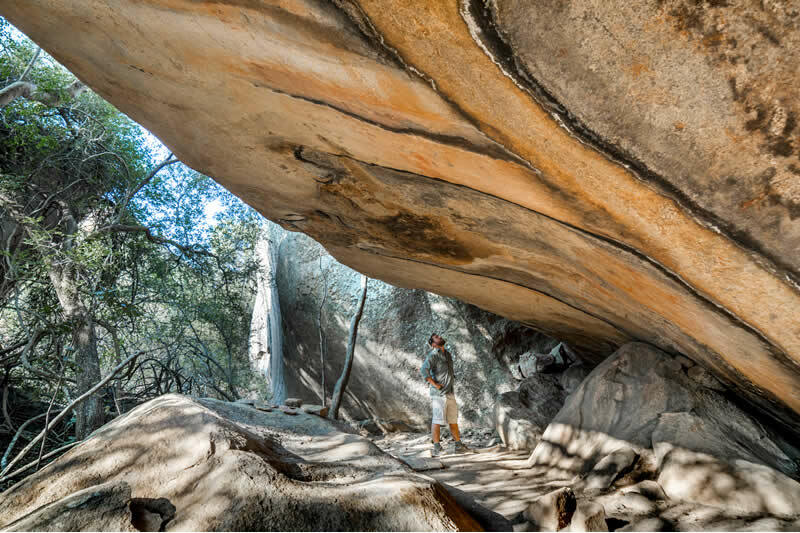 Take a leisurely guided hike to paintings that have been around for 10,000 years. Look for Black eagles along the way. Farmhouse has a traditional cache found on the property. For further information please enquire at reception. Happy caching!